A new study released by UK strategic insight agency, Opinium Sports & Leisure has revealed some interesting insights about UK casino players. The study surveyed 1,500 adults on their online casino, sports betting and bingo habits and the results offer unique insight on how UK gamblers spend their money. Britain lays claim to having one of the most competitive and robust gambling industries in Europe and perhaps the world. Despite near saturation, the industry continues to attract new operators and players in high quantities. The leading strategic insight agency, Opinium compiled the study of the UK’s gambling market to examine the online casino, online bingo and online sports betting sectors in depth. Let’s take a look at how UK players like to spend their money. Television advertising for gambling products and services has spiked over the past decade. Spending has increased by as much as £118.5 million in 2015. Sports bettors earn most of their revenue from self-service betting machines and fixed odds terminals. The research of 1,500 sports bettors suggests that most betting takes place within the age group of 35-54 in males while sports bettor marketing targets the 18-34 age group. Not surprisingly, the research showed that the age group with the highest propensity for gambling is the 35-54 demographic. Additionally, the study showed that 34% of UK adults gambled occasionally and of that 34%, 43% of those had a specific type of gambling preference. 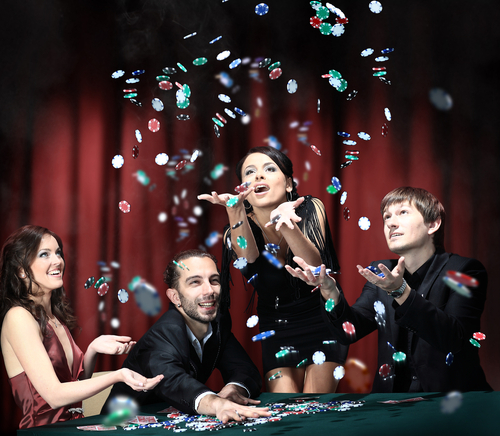 Men were found to be more inclined to gamble, with ratios of 62% versus 38% to women. But, sports betting figures were strongly skewed in favour of men (80% versus 20%). For bingo and online slot games, there was a dramatic reversal with 78% of players being female and 22% male. Online Casino was the most evenly matched category, with 57% of males and 43% of females making up the online casino player numbers. Examining betting type overlaps, it turns out only 21% of bingo, casino and sports book players enjoyed all three formats. 33% are sportsbook only players, 11% bingo only and 8% slots only. Only 9% of players played both slot and bingo games. While a surprising 13% of players enjoyed both sportsbook and casino/slots games. Interestingly, the poll indicated that “casino only” players predominantly fell into the 18 to 34 age bracket making up 41%. This was a significantly younger age profile than sports bettors, 39% of whom were found to be over 55. Brand preferences were found to be consistently changeable among players. 35% of sports bettors, 49% of casino players and 27% of bingo players regularly switch brands. Across all categories, bonuses and promotions were found to be the reason for this. Brand recognition and best available odds also played a part. Good reviews were found to be the least significant reason players chose one particular brand over another. Opinium found that UK players spent £50 per month on average on all forms of betting. Interested in finding out more? Check out our casino reviews now.